From the Carriage House: You Made a Wreath From What? 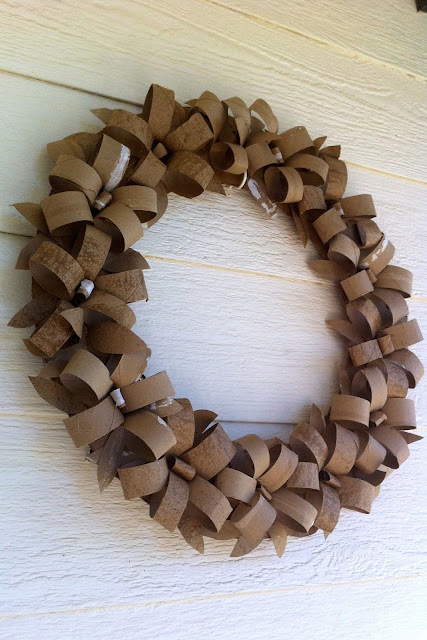 A simple circle wreath form was cut from a flat sheet of cardboard. Toilet paper rolls and paper towel rolls were trimmed down to form the flowers and the leaves. Cute little blond assistants handed their momma pieces to hot glue down and a funky floral toilet paper wreath was made! For more toilet paper craft ideas, check out this website and a few more cardboard wreath ideas here and here. 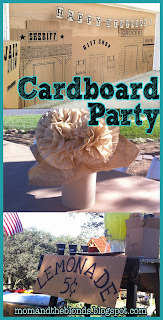 See more from the cardboard party here. So creative! Wait til my artsy-crafty-toilet-paper-roll-hoarding girls see this!